RECESS is Saturday January 19, 2013! RECESS is Saturday January 19th! - RECESS is an all day gaming event hosted by NerdNYC. - Join us in making friends and playing games! - No experience needed, any rules will be taught. - No advanced registration is required, just show up and play! - Anyone 18 or older (bring a valid photo ID). - Submission Deadline Extended: January 4th! - Sign up to run 4 hours of games and play 5 hours free! - Use the “Invite Friends” link on the top right of Facebook to tell friends who also want to play games! How do I register for Recess? - There is no advanced registration. Just show up, signup, and play! - Want to attend Recess free? - *Admission buys you a 1 day membership to NerdNYC’s nonprofit to attend RECESS. - Got cool nerd-stuff to share? - The Swap Table will be on the 3rd Floor, room White Box. 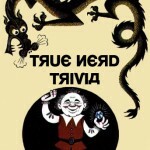 True Nerd Trivia: Holiday Special! Next post: D20 Burlesque presents Fallout Follies & Dystopian Dollies!